Welcome to Be Awesome – Celebrating Mental Health and Wellness. On this podcast we’ll talk about the joys, triumphs, and challenges of being YOU. Our central theme is that we are all doing the best we can, with what we have, in the moment and we are all capable of more than we believe. This show highlights compassion, connection and laughter, using the latest in psychological research as we embrace radical self-care and own our awesome! 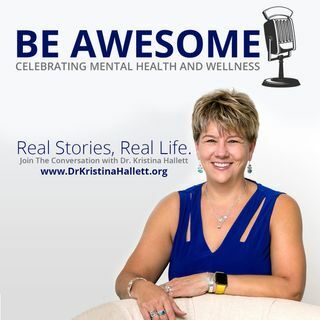 Real stories, real life – join the conversation with ... See More Dr. Kristina Hallett.